Java-Latte: Don't know which map/collection to use? This post will summarize about collection framework in a convenient way. 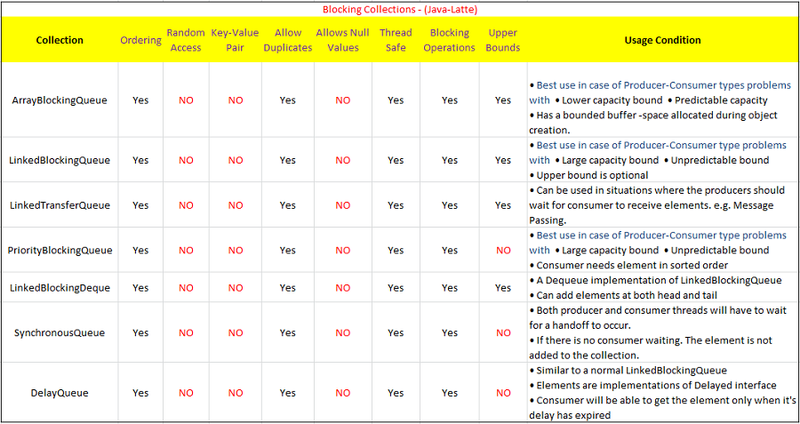 This is continuation of the previous post about Collection Framework in Java. This diagram give you the basic understanding of when to use which collection. 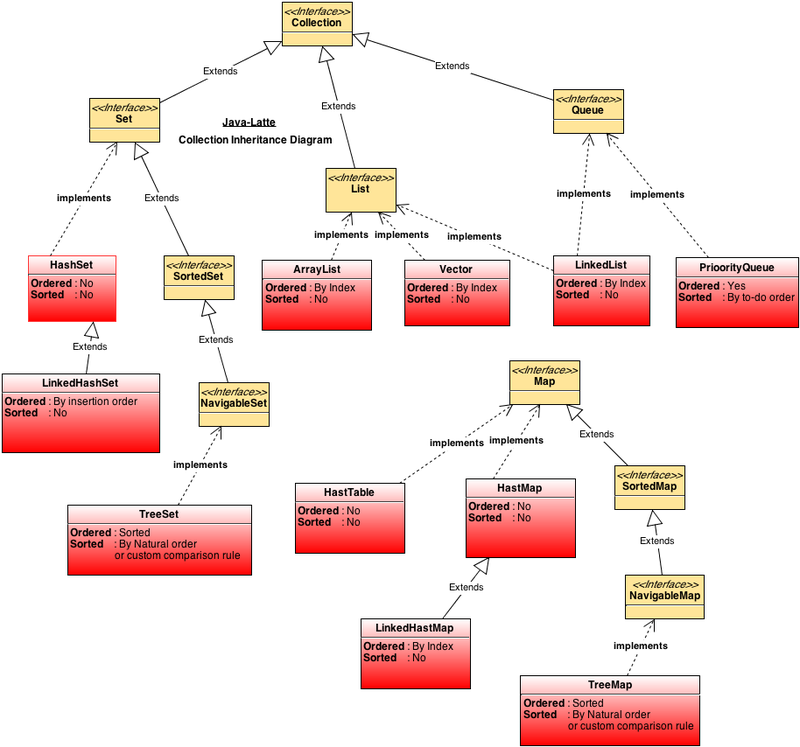 This diagram give you the hierarchy of Collection framework with its ordering and sorting scenario. A comprehensive diagram for deciding which Collection to use! 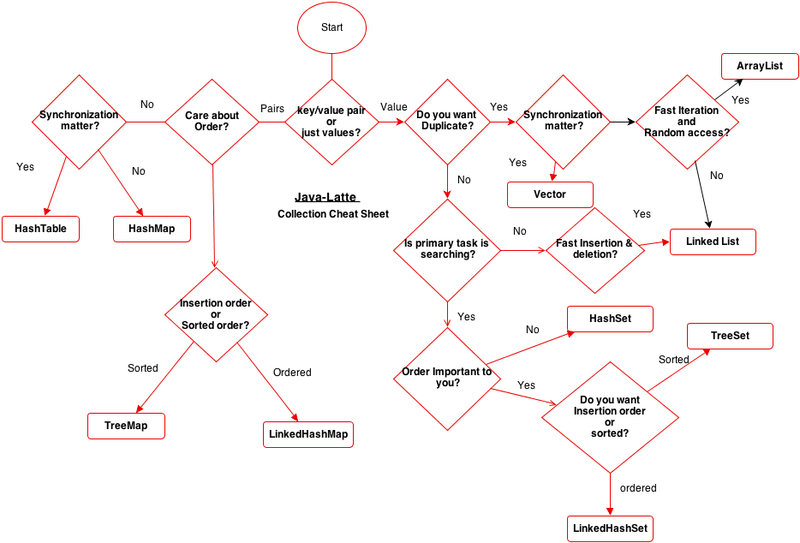 Actually, LinkedList is not the only choice for duplicates; there is also ArrayList, Vector, and Queue. That which you meant to say is that the List collection framework is the ideal choice for duplicates. This was very nice summary. Thanks. duplicate? NO -->> searching? NO -->> Fast? NO -->> Sync? NO! then !!! ArrayList !!! NO DUPLICATE? If synchronization is an issue, use the synchronized versions of the collection. See http://docs.oracle.com/javase/7/docs/api/java/util/Collections.html Don't use Vector unless it is for some of its other features like returning an Enumeration of its elements. 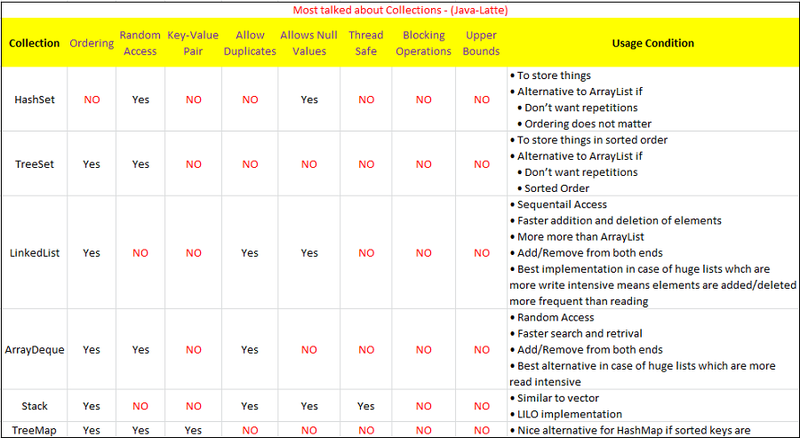 Overall, I think it is a nice post, but there are so many more collections to consider. This is a good start, and useful to many developers. Thanks John for your valuable comment, and yes, you are right there are synchronized versions of the collection which I'll slowly introduced in the same flow chart. You can have duplicate in linkedlist. There is an error if you follow the no path for duplicates where it leads to LinkedList, which does allow duplicates. That path should lead go LinkedHashSet. This was very impressive summary. Thank You so much. Hello, I suggest to change stack to LIFO, it's not LILO. Thanks Alexis, It's a written mistake, I'll change it soon. I am also really enthusiast to announce some very exciting news: to celebrate the imminent release of Spring 5 and Java 9 we launched our simulators SALE CAMPAIGN. We halved the price of our simulators at www.springmockexams.com and www.javamockexams.com for limited time only.